In my previous post, I wrote about the meaning and the importance of an Ideal Customer Avatar (ICA). Today, we go one step further and I show you how to define yours when you are just starting out. Who should you base her on? Does this person exist at all? You certainly don’t want to spend your important time on aimless daydreaming about an unrealistic persona. But you have to start somewhere, so the first step is to imagine your ICA. Imagine her as she would be a character from a book or a movie… or your new best friend. 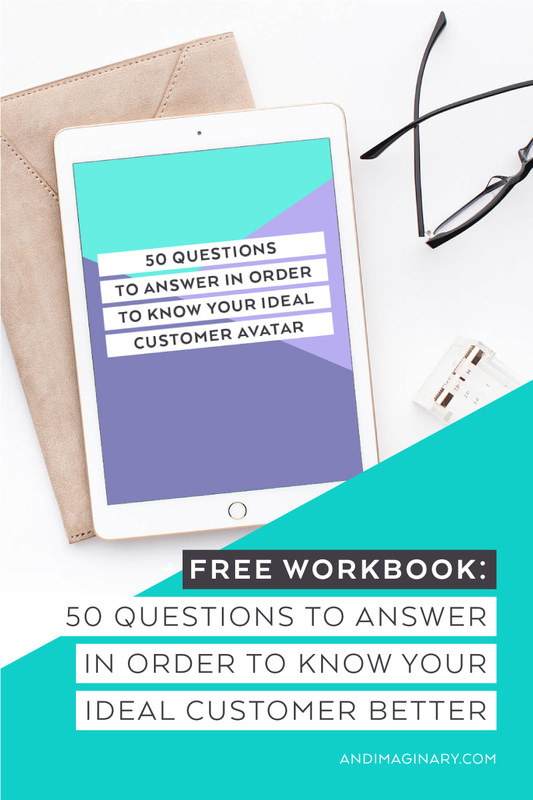 This post comes with a helpful freebie – 50 Questions to Answer in Order to Know Your Ideal Customer Better – which is going to help you build a well-detailed ICA. Marketers often refer to their ideal customers in numbers and dry, demographic data: age, gender, occupation, marital status, etc. While it’s important to define these, they aren’t enough. You can’t relate and feel empathy towards 25-55 years old North American married women as intensely as you could relate to one specific person. The whole point of defining an Ideal Customer Avatar is that it empowers you to create for real, specific human needs. You can’t do that without going very specific. I have 3 steps for you in order to create this specific, well-detailed Ideal Customer Avatar. When you’ve just started your business, the best way to define your Ideal Customer Avatar is to base her partly on yourself. But not entirely. She’s not exactly like you. Your ICA is a person a few steps behind you in her journey. You are ahead in solving a specific problem that she also wants to solve. This also means that you don’t have to be the superstar in EVERYTHING. Just because you haven’t reached “The Dream Life”, you still overcome obstacles that your ICA hasn’t so you can still offer a supporting hand. I hope you are building a business out of passion. If this is true, you must have a purpose to be in business as a start. Your ICA must be a person who values your core purpose. Answer: What’s your Business Purpose and how does it apply to your ICA’s life? Your core values and your ICA’s core values must be aligned. If you put a big emphasize on quality time with kids (with your products, services and online content), it’s most likely that your ICA has kids too. She can have several other values, but they should not go against your core business values. An Ideal Customer Avatar who find sustainability and protecting the environment very important, won’t buy a Hammer no matter of the Freedom, Prestige or Power it gives her. She’d have a Prius and she may dream of having a Tesla. Answer: What are the things you and your ICA both value? If you are a bubbly, boho, artsy blogger, you’ll have a really hard time writing in legal lingo for very serious, no-nonsense clients. You’ll hate pleasing their strict requirements of grammar and following the rules. Your ICA will more likely be a bubbly, boho artist, just like you. Marie Forleo is a great example. She swears regularly in her MarieTV episodes (she even has an intro, telling listeners that the show isn’t suitable for young ears). She definitely will alienate some listeners, but those wouldn’t be her ICAs to start with. Those who loves her style don’t mind a few F-words here and there and will appreciate the Jersey Girl jokes along the way. Answer: What are the personality traits that your ICA is looking for in others (both people and businesses)? Remember, I said that your Ideal Customer Avatar is a person a few steps behind you in her journey? She wants to learn from your story. How did you transform a bad situation into a better one? Look back at your own journey. What was frustrating you? What motivated you to overcome the obstacles? If you based your business on a solution that helped you overcome an obstacle in the past (for example you are a fitness coach who lost weight herself), that’s even better. You could experience the problem first hand, and this gives you an insight on what might possibly bothers your Ideal Customer. You also know what solutions you were looking for and what outcomes you were dreaming of when you were tackling that challenge. An example for a Finance Advisor’s ICA: She has a small amount of saving but she knows that they won’t be enough to cover her expenses when she retires. She doesn’t know how to invest money, and afraid of stocks and more progressive investing methods. She doesn’t know how to track her finances on a regular basis. She often wants to avoid the whole topic of money. Answer: What are the obstacles my ICA is facing? Your ICA has fears just like you. She worries about the consequences of not solving her problem. Back to the previous example: she’s afraid that she won’t have enough savings for her retirement. Look at her situation with empathy: how does she feel when she thinks about her retirement? What inner monologues are going through her mind? Answer:What would happen if your ICA failed to solve her problem? Your ICA also has dreams. She’s dreaming of the best solution and she’s looking for you to guide her towards it. Back to the previous example: she’d want financial freedom. Enough money to leave the job she hates earlier, start her passion project and travel more. She’d want someone to help her save more and invest better to build up this financial freedom. Answer: What would happen if your ICA could solve the problem? What are the solutions she is looking for? How can your product / service help her reach this dream? Now that you have a basic knowledge of your ICA’s obstacles, dreams, purpose and values, you can start filling in the gaps with details. Think about this as a creative assignment to make up a character for a book. When authors do research for a book, they often imagine many aspects of their characters’ lives. Not all of these details will be present in the book itself, but they will define how the characters respond to a situation. Answer: How does your ICA look like? What is her personality? What makes her happy, sad, angry, passionate? What does she like to do? How does her average day look like? When it comes to defining your ideal customer avatar, the more details you can add, the better the ICA will serve you. Going into details can feel weird and risky. You’re afraid that you leave someone out, but don’t worry. You won’t. While we are all different, we can still go through similar experiences and we can dream of similar things. Your customers couldn’t have a week off in the past couple of years, but they can still dream of travelling. They might have nice travel memories from their childhood, or they are saving up for a year-off and go backpacking all over Europe. The thought of travel causes the same excitement in them, even if they didn’t spend last summer on Mallorca, like your ICA did. Finally, don’t forget to write it down. An ICA that only lives in your mind won’t help you much. Besides, when you start building a team, it will be super useful to let new team members read about your ICA and see who you want to serve. In my next post, I’m going to show you how to interview your previous customers in order to add more real-life data to your Ideal Customer Avatar and improve your products / services. 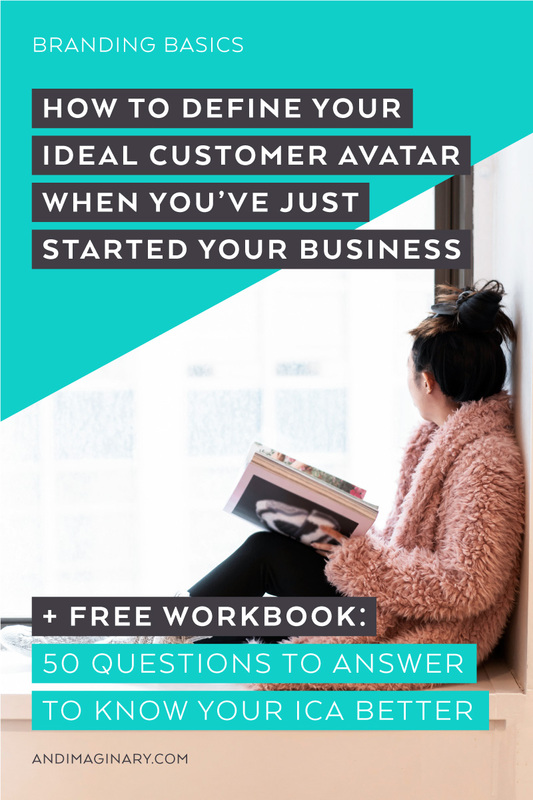 Until then, don’t forget to download and fill the free workbook I made for you: 50 Questions to Answer in Order to Know Your Ideal Customer Better. I’m binge reading your blog since last night and it clicked in my head SO many times! You really helped me out with a lot of things I struggled with cause my head was stuffed with so many possibilities (too many of them) to run my business. So THANK you a lot for writing these excellent and empathetic blogposts ) in your very personal style, it feels so good to read them. But I have a small request to you and would be happy for an answer: I would like to download the 50 questions for the ideal customer avater, but none of the links/images start a download or lead to another page…maybe there’s a technical issue. Thank you Sarah for your nice words and letting me know about the technical issue. I look into it immediately. 1. You get a popup box (a small window pops up) asking for the email address and first name. 2. You fill that. It works the same way if you are new and never added your email on my site or if you are a return reader who is already on my email list. 3. After clicking the “Grab this freebie” button, you get to a thank you page and an email is delivered into your email inbox. It’s possible that it lands into the spam/junk folder. For me it usually arrives into the regular inbox folder. 4. In the email you’ll see a blue button “Confirm subscription and access the freebie”, you click on that and the freebie loads in. I keep the freebie in Dropbox, so you can decide if you want to download it to your computer or copy it into your Dropbox if you have one. Previous PostHow to interview your customers in order to create better products and services? Next PostYour Ideal Customer Avatar: who is she and why does she matter?